A sixteen megapixel photograph is more than adequate for sharing on the web, and printing most common sizes. And if you opt to store your photographs at the original size, Google storage offers 100 megabytes of storage for $2 a month, or a terabyte for $10 a month. Dropbox minimum purchased plan is $10 a month for a terabyte. 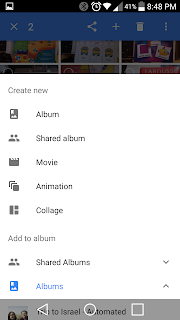 And Google Photos has photo editing, and a wonderful set of tools for making movies and stories automatically from your photos. This is described more fully in the column. To setup your family to use this process, you first need a Google account for each member. There is a good chance one or more already has an account with Google. If they use GMail or one of the many Google services, or own an Android phone, they already do have an account. You will need to know their GMail addresses to go forward. If anyone does not have a Google account, you will need to set one up for them. You can skip to the step Install Google Photos App and do it as part of installing the app. At your PC, simply go to accounts.google.com. If at the top it says "Welcome" and your name, then you already have a Google account and are logged in to it. If you get this page, then you are not logged into Google. To create an account, click the "Create Account" link circled below. Go through and answer all the prompts. When are done, you have created a Google account for this person. Be sure to record their username and password so you can get access to this account later. To log off this account, in the upper right corner is a round circle with perhaps the photo of the account holder, or their initial. Click it and a dialog box appears. Click the Add Account button to create another new account. When you have created your final account, click the Sign Out button. 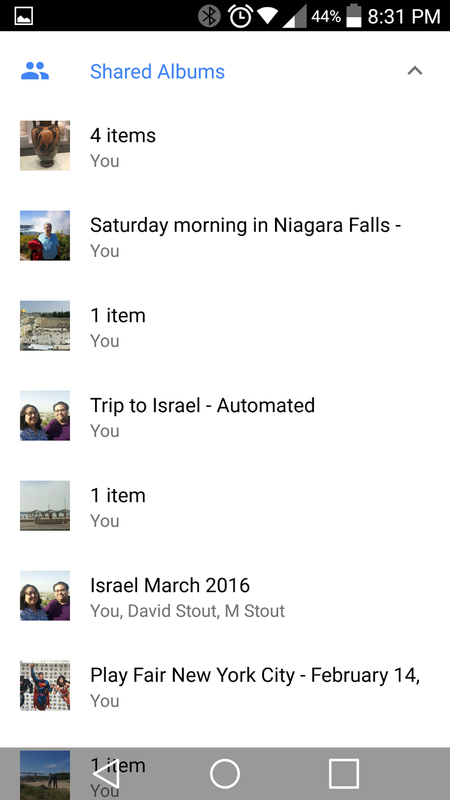 Next up, you will need to install the Google Photos app on each person's smart phone. The first time you use the app follow the app's prompts to setup the app. If you have not yet created a Google Account for this user, you will be able to through this app. Otherwise, enter in the Username and Password for the user as part of the installation process. Or it may already know it if the phone has a previously used Google Account. As part of the setup process, you will likely be asked if you want to backup your photos to the Google Cloud. Choose to do so. And you will be prompted to choose the Upload Size of High Quality or Original. High Quality gives you free and unlimited uploads. If you photo is over 16 megapixels in size, Google will downgrade the photo to 16 megapixels Original will now download photos over 16 megapixels, but will count against your Google space. Choose also in setup to Backup photos only over WiFi, unless you have unlimited data in your cell phone's service plan. If the setup process does not prompt you for this, or you want to check to make sure you have these settings, then go to the Setup menu and choose the Backup & Sync section to view, and change, these settings. Each user can now take photos as they normally would. 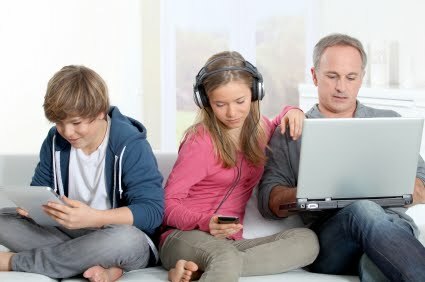 When they are logged into WiFi, their phone will copy their recently taken photos to their Google Cloud storage. 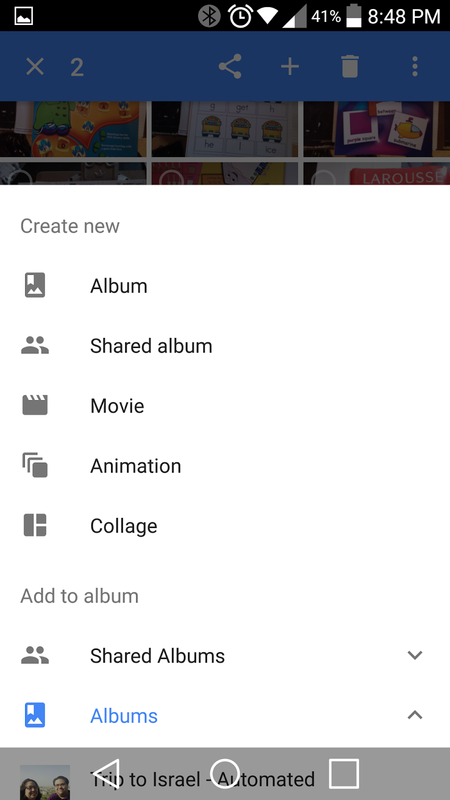 To share a photo, on each phone, go into the Google Photos app, and its Device Folders section. Long touch each photo you want to share to the Shared Folder. 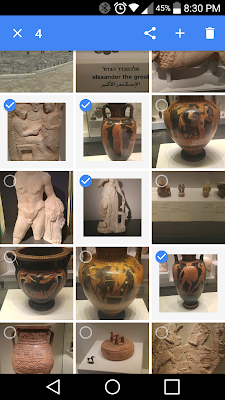 An Check mark appears on each selected photo. Then click the + button on the top row. From the choice of albums that appears, in the Create new section, choose to create a Shared album. On the other phones, now that the shared folder has been created, you'll select it from the Shared Folder section. Now all the photos from all the phone appear in one folder. And you can access them too on your PC at photos.google.com. 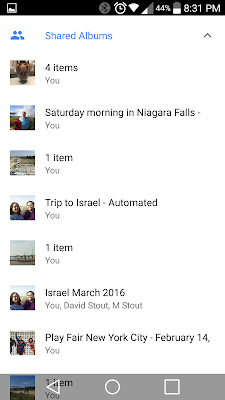 Notice Google Photos keeps track of who has taken the photograph. When you click on one photo, it appears full size, and in the upper right hand corner are these tools. The Edit button (underlined in red above), lets you edit the photo if you took the photo. If the photo was not taken by the person whose account is open, the Edit button will not appear. You can either have them log in and edit the image, or download the image and then edit it in another app. A good editor can be found at Ninite.com. This is a safe downloads site. Click Paint.NET and then click the button in section #2. Run the downloaded file and it will install Paint.net. Once you have edited the image in Paint.net, you can save it back to your PC and then upload it back into the Shared Folder using the Google Photos web page. Simply find the image in your Windows Explorer (or Mac Finder) and drag the image to the web page displaying the Shared Folder. 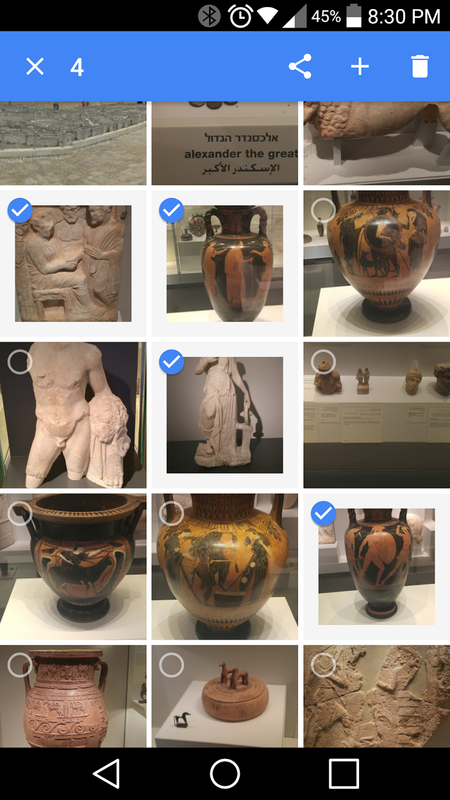 I was using this method with my wife in order to merge all of our photos we take into a shared album. I just hit the wall with it though as it seems Google Photos has a limit of 2000 pics in an album. I did not know that, although you can create additional albums. This forum post is about this topic. My wife and I have done this a little differently. I set up a single account where we both automatically send all of our pictures, not just those that we choose to share between accounts. This is better for us because 100% of our pictures are then consolidated. BUT, in our Google Photos, we do not see the name of the person who took the picture. How can we configure our method to show the name? Also, can we configure Google Photos to show the location of the shot? Finally, with the latest release of Google Photos, the Google Photos Desktop Backup App no longer shows any sort of user interface....is that a bug?